USDA is a terrific home financing option assuming the buyer is purchasing a home in an approved USDA area, and their household income is below the USDA income limits. But what about those buyers looking to purchase homes in more populated locations like Orlando, Jax, Tampa, West Palm Beach, Miami, etc? Or maybe households that make too much money to be eligible for USDA financing? What option do these buyers have? Of course the primary benefit to the FHA loan option is there is NO special approved areas like the USDA RD loan. 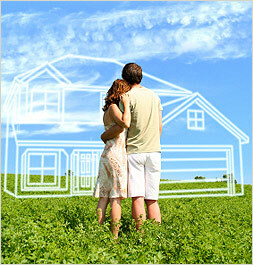 Home buyers using FHA home financing can purchase anywhere, there is no restriction. Single family home, condo, townhome – just as long as the home is in good repair and meets all standard HUD requirements. In addition, there is no household income limits with FHA. If a borrower makes very high income, that’s ok! Buyers that have questions about getting pre approved for the FHA program can visit FHA Mortgage Source at www.fhamortgagesource.com or call ph: 800-743-7556, we are available to serve you 7 days a week.